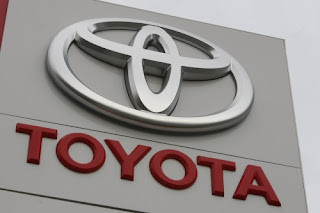 Toyota Motor Corp has announced plans to build pickup trucks and possibly SUVs at a new plant in Mexico, a move that followed threats by US President Donald Trump to penalise the company if it built small cars south of the border. Toyota initially planned to produce Corolla sedans at the plant it is building in the central state of Guanajuato, but will now switch production of the small cars and a new Mazda SUV crossover to a new assembly plant planned for the United States. Trump threatened in January to impose a hefty fee on the world's largest automaker if it built Corollas for the US market in Mexico. Toyota de Mexico spokesman Luis Lozano said the global auto maker would study producing SUVs in Guanajuato, in addition to the Tacoma truck model. "We're going to concentrate only on pickups at the beginning and are studying the potential for SUVs in the future," he said. Trucks and SUVs represented some 65 per cent of the North American market, Lozano said. The decision came as Toyota planned to take a five per cent share of smaller Japanese rival Mazda Motor Corp as part of an alliance that will see the two build a $US1.6 billion assembly plant and work together on electric vehicles. Toyota's Lozano told a Mexico radio station on Friday that he expected the company's level of investment in the region to remain similar despite the shift in plans. "The investment that we calculated when we announced the decision to make a plant for Corolla was for $US1 billion dollars," he said. "At present, we don't have a final figure for what this change means for our assessments. Up to now, it seems it won't vary substantially," Lozano said.